My love for food grows each and every day in San Francisco. There are so many delicious restaurants to choose from that I could probably go my entire life and still have places I would need to check out in this city. Luckily, I can say I nommed hard at Nico. A few weeks ago, I had the absolute pleasure of checking out Nico where I had the opportunity to taste amazing French cuisine by Nico's head chef, Nicolas Delaroque. For some back story, Nicolas and his wife, Andrea, opened Nico in November 2013. Nico is located in the charming neighborhood of Presidio Heights and from the outside is rather unassuming. It's gorgeous, no doubt. But what lies inside is a Michelin star rated restaurant. Also, it happens to be close to my house in Pacific Heights, so how could I not love it? Nico's menu changes by the day and that's exactly why the restaurant is so special. 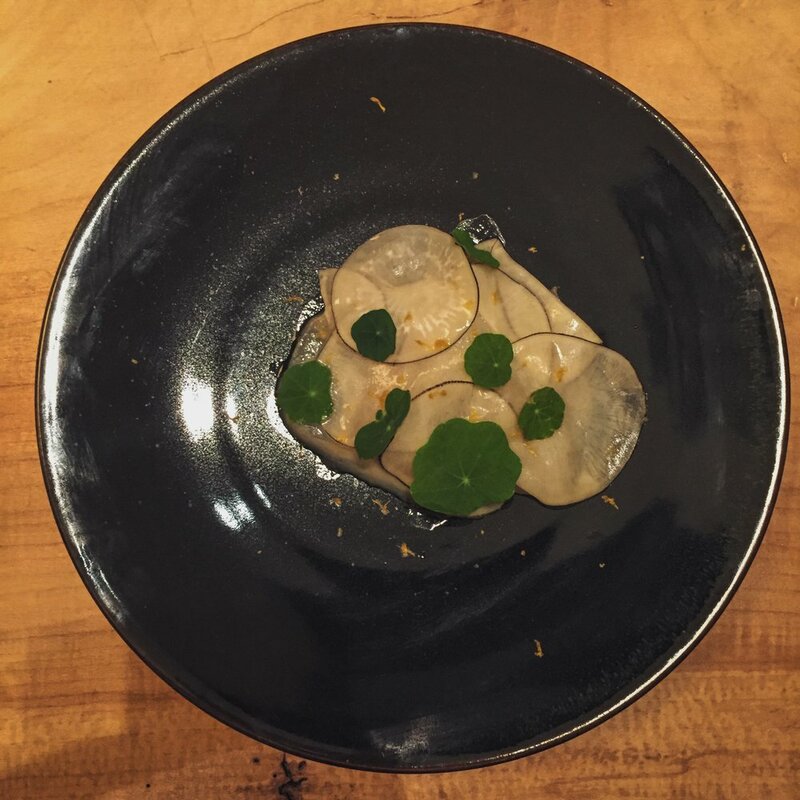 Nicolas' cuisine reflects his love of cooking and creativity. From traveling to childhood memories, each dish exudes imagination and inspiration. It's really exciting to not only see, but taste. While I was at Nico, I noshed on everything from main courses to sipping on delicious low-proof cocktails. My absolute favorite? 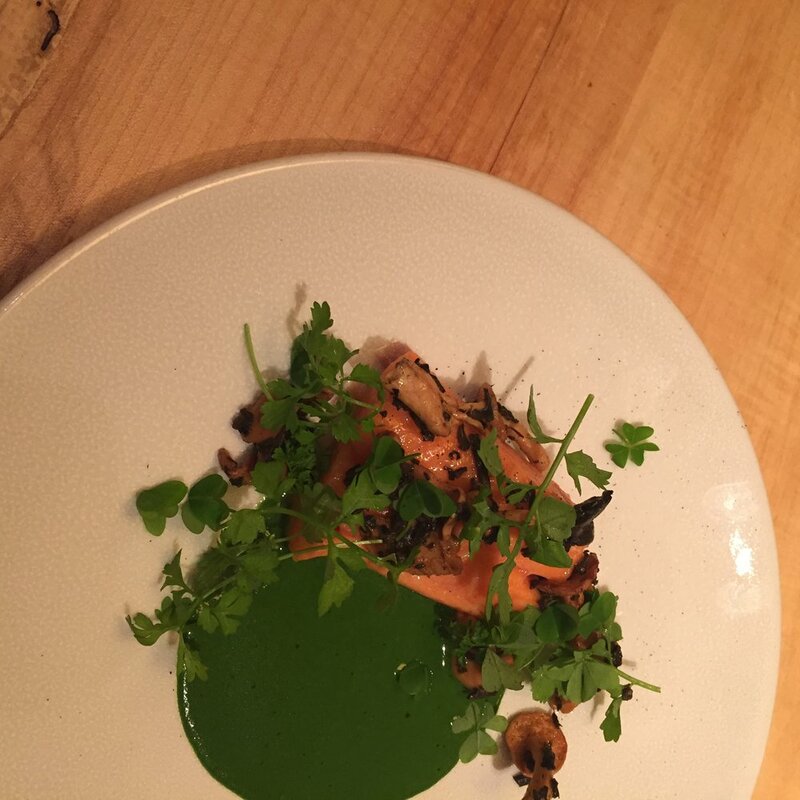 The rainbow trout with hedgehog mushrooms, coffee and nettle! All the flavors were wildly dynamic and made the dining experience just that...a total experience. With a very reasonable 5-course tasting menu set at $65, I consider you make your reservation ASAP for Nico. Your wallet and palette will thank you.